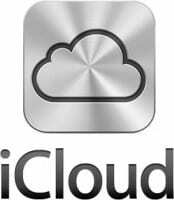 If good things come to those who wait, then Apple is finally ready to reward us by unveiling the long-awaited, long-speculated iCloud today (6/6). Steve Jobs led the presentation at Apple’s Worldwide Developers Conference in San Francisco. The iCloud service will store users’ digital files online and automatically push them to iOS-based devices such as iPhones, iPads, PCs or Macs. Apple Mail, Calendar and Contacts will now update automatically on all devices. Users automatically get 5GB of free storage, but purchased music, apps, books and photos will not count against the total. Much of the speculation about iCloud has centered around Apple’s iTunes, which will now allow users who have purchased songs from iTunes to re-download from the cloud to other iOS-based devices at no charge. For an additional charge of $25 annually, users can try iTunes Match which scans a music library for files not purchased in the store and upgrades them to 256kbps AAC format. For tracks not matched in the store, a manual upload is available. Additionally, the App Store will use iCloud to put all downloaded apps on every available device. Purchased books will be synced. Users will be able to create documents, spreadsheets or presentations which can then be stored and accessed via the cloud. A new application called Photo Stream will allow photos to by synced across all devices, but cloud storage is limited to the last 1000 photos. The iCloud service will be free for use on devices running iOS5, which is expected out in fall.